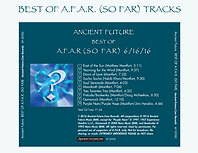 •Major Upgrade to the Archive of Future Ancient Recordings! Major Upgrade to the Archive of Future Ancient Recordings! Beautiful digital liner notes available now. Immediately download files in MP3, CD, or hi-res audiophile quality. Files to print a cover, tray card, and label for an A.F.A.R. So Far CD are included for CD and hi-res subscribers. To insure the audio is captured at the highest quality possible, investments were made in the monitoring and audio conversion systems. Michael Braden, a great videographer working with top quality high resolution digital cameras, has been involved for the first series of sessions. The first studio track was just added to the archive on February 11, the exact 34th anniversary of the first Ancient Future concert. 'East of the Sun' is a very poignant piece by Matthew Montfort with an Afro 5/8 groove and a haunting melody. The trio version features original Ancient Future tabla player Benjy Wertheimer, Mariah Parker on santur, and Matthew Montfort on scalloped fretboard guitar. The audio from the very first A.F.A.R. recording session is pure magic, and the video provides a fascinating window into the recording process. All of this is available exclusively to A.F.A.R. 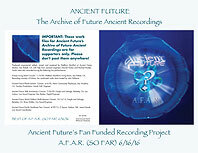 supporters, so subscribe to Archive of Future Ancient Recordings now! The basic tracks for an alternate version of 'East of the Sun' and two other tunes have also been recorded, including one featuring Vietnamese dan bau (a one string instrument with an indigenous version of a whammy bar) master Bui Huu Nhut. These have now been edited and the overdub process has started. Upon his return from a concert tour of India with Zakir Hussain, Uzbeki master percussionist Abbos Kosimov absolutely rocked his March 7 overdub session. The video above is a quick little snippet of the unprocessed camera audio recorded from the back of the overdub room during a sound test. In January, Paul McCandless added a haunting oboe overdub on the alternate version of 'East of the Sun.' The next steps are to add Kash Killion on upright bass and bolong (a West African three string instrument with a calabash base), edit the overdubs, and mix and master the three next additions to the archive. To date, $2730 has been raised towards the $25,000 project goal. There has been vastly more work and investment in the project than funds have been raised to pay for, so your help is needed NOW to finish the work. Money is needed to pay musicians for their services on the recording, to upgrade more of the studio equipment to a higher standard, and to help cover the audio/video editing, mixing, and mastering. The current goal is to raise just four thousand dollars in the next two months to help to complete the basic tracks already recorded and finish the upgrade process to ensure state of the art sound and a faster pace for the rest of the project. Enjoy the new additions and improvements to the archive! Please sign up for A.F.A.R. now and help support the creation of this music. You can participate for as little as $15 (a real bargain for so much music), or as much as you care to donate. Your help and participation is essential and very much appreciated. Recording Newsletter. $15 (receive 128 kbps downloads): Subscribe @ $15. Download Supporter. $25 (320 kbps downloads): Subscribe @ $25. Limited Edition CD Sponsor. $50 (all previous plus CD quality audio): Subscribe @ $50. Honorary A & R Representative. $75 (all previous plus video and 24 bit audio): Subscribe @ $75. Donor VIP. Make Additional Donation. Advance Tix: In person at Good's Stamp Shoppe, 56 So Main St, Willits, CA 95490. 707-459-1363. By phone with credit card at WCT Box Office (707-459-0895) or Brown Paper Tickets (800-838-3006). This rare concert at the Willits Community Theatre is the first Ancient Future performance in Mendocino County since July 2006, when they performed their Arabic Dance program as a quartet at Friday Night Live in Cloverdale. This Ancient Future duet program features scalloped fretboard guitarist Matthew Montfort and santurist Mariah Parker, who have performed in Spain at festivals in Sant Carles de la Ràpita, Botarell, Torredembarra, and Salou. 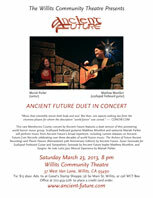 They will perform music from Ancient Future's broad repertoire, including current releases on Ancient-Future.Com Records: The Archive of Future Ancient Recordings and Planet Passion (30th Anniversary Remastered Edition) by Ancient Future, Sympathetic Serenade and Seven Serenades for Scalloped Fretboard Guitar by Ancient Future leader Matthew Montfort, and Sangria by Mariah Parker. Tix: $13 in advance, $15 at the door. Info: 530-867-1032 or email info@timnatalmusic.com. 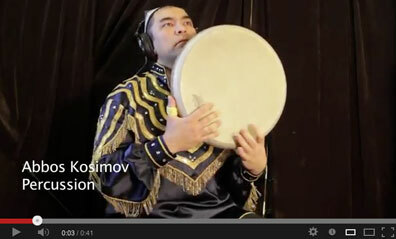 Montfort and Grasso are both extremely versatile musicians and composers, who bring years of experimentation and unusual modifications to their unique instruments. This concert will be their first collaboration. 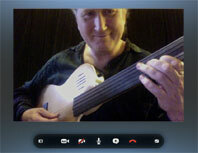 Matthew Montfort, a world guitar innovator and founder of Ancient Future, will be playing scalloped fretboard guitar. Matthew Grasso is a classical and Indian style guitarist who is a founding member of Trio Seven and Nada Brahma Music Ensemble will be playing a 25-stringed raga guitar. They will be joined by Parteek Bansal on tabla. 60 Minute Skype Lesson: Sale -$60. Buy Link. Gift Certificate for Four 30 Minute Private Lessons (San Rafael, California): Sale - $150. Buy Link. Recently recognized as one of the world's 100 Greatest Acoustic Guitarists, Matthew Montfort teaches all styles of guitar (and other fretted instruments including ukulele, bass, and mandolin) along with world rhythms, music theory, and repertoire for all instruments. Montfort wrote the book Ancient Traditions – Future Possibilities: Rhythmic Training Through the Traditions of Africa, Bali, and India, which has been used by many musicians to improve their rhythm skills. Private lessons and online Skype tutorials covering this material are available as well. 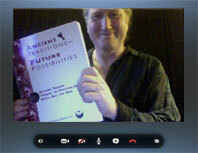 And for a limited time, an additional discount is automatically offered on a Skype tutorial with a book purchase through Ancient-Future.Com! He is also accepting a limited number of students at his studio in Marin County, California, and will travel to student's homes in the San Francisco Bay Area. 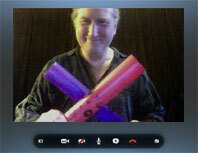 Gift certificates for private lessons in Marin are available, and for online lessons worldwide via Skype.